The 2019 Men's World Boxing Championship will be held in Yekaterinburg, Russia, according to ringside24.com. It was reported by the press service of the Russian Boxing Federation. 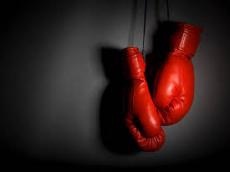 “Every year, martial arts, including boxing, are gaining more and more new fans around the world,” the governor of the Sverdlovsk region Yevgeny Kuyvashev noted. “We see a growing interest of the Urals people in martial arts, including in status competitions, which are increasingly being held in the Middle Urals. We have all the conditions for the excellent organization of the World Cup." In July 2017, Russia received the right to host the World Cup 2019. Initially, it was planned that the tournament would be held in Sochi. Competitions are scheduled for September 2019.